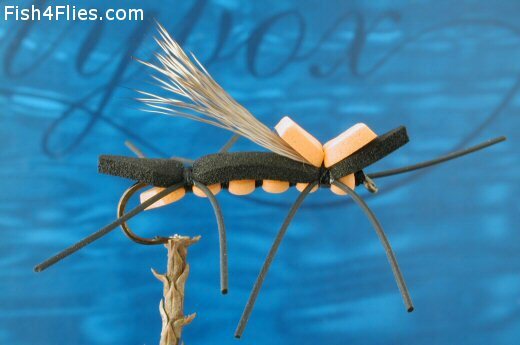 The Salmon Fly Chernobyl was created to represent an interesting tasty mouthful. It is a strange modern day creation, yet it does work. Belly : 2 mm orange foam. Back : Black foam, trimmed to shape . Legs : Medium black rubber legs. Wing : Sparse natural elk. Indicator : 2 mm orange foam. Currently there are no comments about the Salmon Fly Chernobyl fly pattern from other fly fishermen yet.